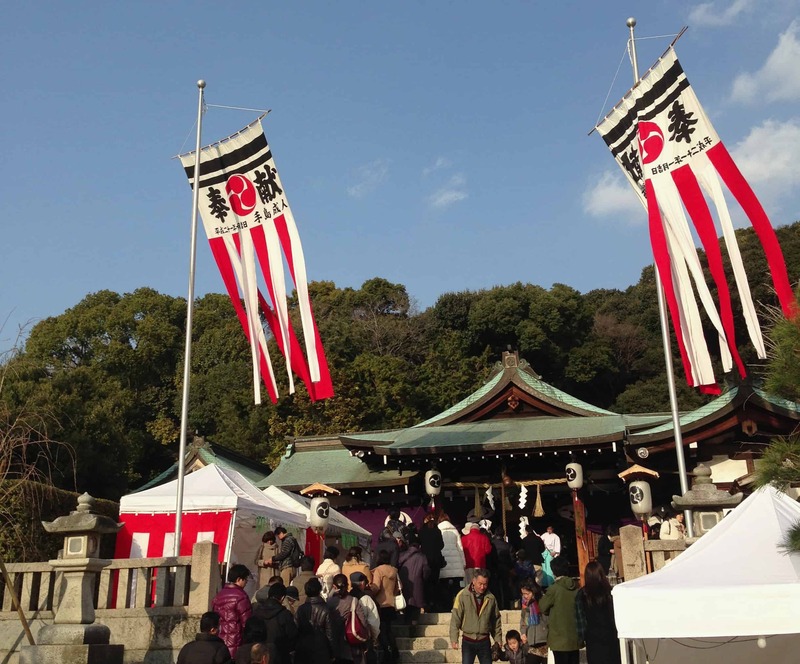 New Year is undoubtedly Japan’s most important – and longest – festival. However, in most of the country, you’ll disappointed if you expect to find New York or London style revelry on New Year’s Eve. Here in Hiroshima, however, we do have what seems to be a somewhat unusual opportunity to mix the (relatively) raucous with the traditional at one of the city center’s biggest shrines. 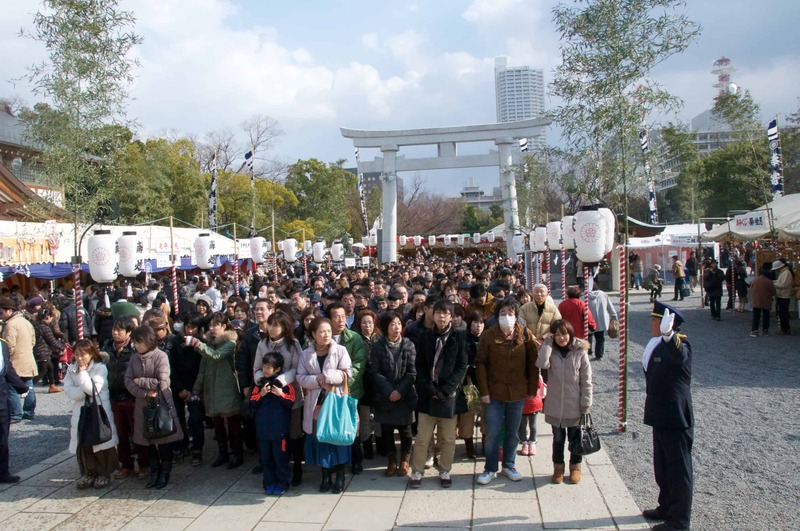 New Year’s commemorations begin with the Ōsōji big clean up. Little work is done in offices in the final few days of the year as they are taken up by giving workplaces a deep clean before the holidays. Temples and shrines also make ready for the large numbers of visitors they will receive over the holiday – gravel is raked, trees trimmed and statues decorated. It is through fortuitous to traditional to eat toshi-koshi soba noodles on New Year’s Eve – the long noodles represent long life – and we like to combine a stroll through Mitaki Temple with grabbing a soba lunch at the Musashi restaurant at the bottom of the hill near Mitaki Station – don’t leave it too late in the day though, as it’s a popular way to spend the last day of the year. Another reason to eat early is that you’ll find many restaurants closed on New Year’s Eve. These days, if you find yourself stuck, you can at least buy pre-packaged toshi-koshi soba at convenience stores which don’t taste too bad at all. A spectacular way to start off your New Year celebrations is to take the boat out to Miyajima to catch the Chinkasai fire festival. 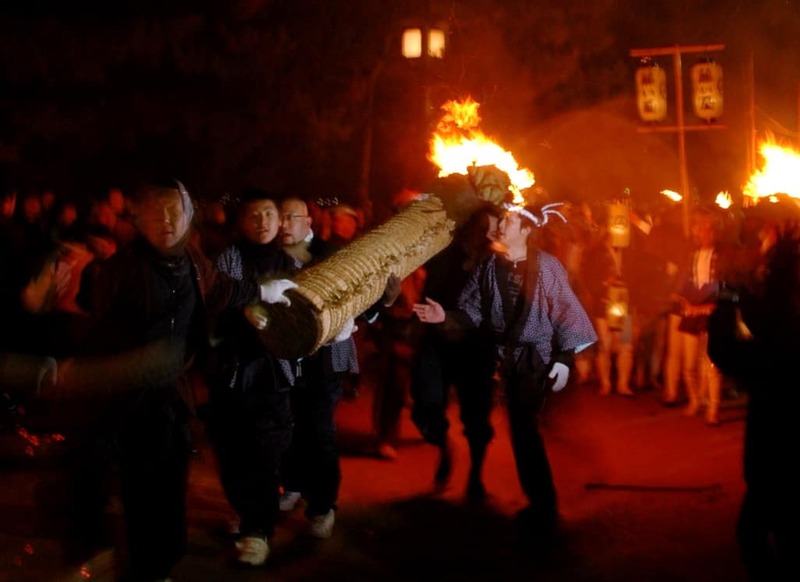 Groups of locals carrying huge flaming torches parade between the large stone torii gate at the end of the shopping street and the entrance to Itsukushima Shrine. It can get quite “hectic” so it’s important to keep your wits about you, though ironically the whole thing is about protecting the island from fire. The Chinkasai starts at 6pm and is over within an hour or so. With very few places open in which to escape the cold until the crowds begin to arrive to visit the shrine at midnight, you may want to head back into Hiroshima city. The traditional way to see in the New Year is the ringing of the Buddhist temples bells. Joya no kane entails 108 chimes on the temple bell – 107 in the final minutes of the old year and once after the stroke of midnight. In Hiroshima city the public are welcome to ring the bell once the ritual has been completed can at Fudoin Temple and at Daishoin Temple on Miyajima (where, after the head monk makes the first strike, members of the public, who have patiently lined up, take over for the last 107 strikes). 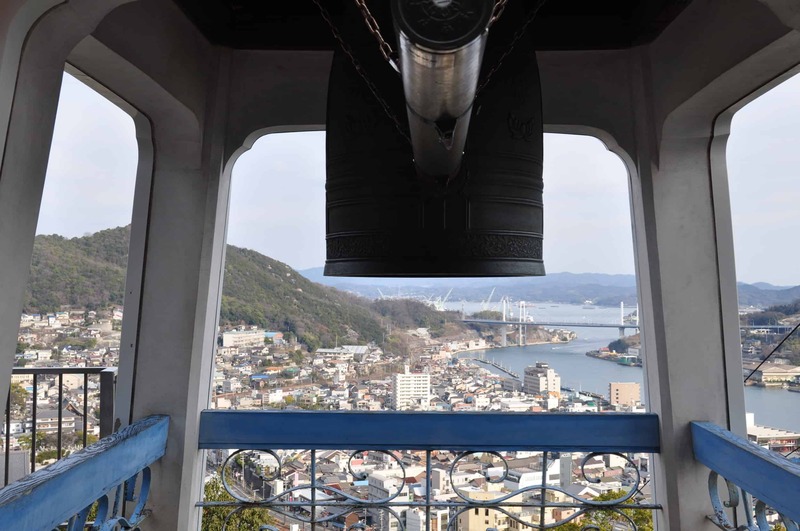 Senkoji Temple in Onomichi also performs the ritual, the bell of which produces one of Japan’s “top 100 sounds”. 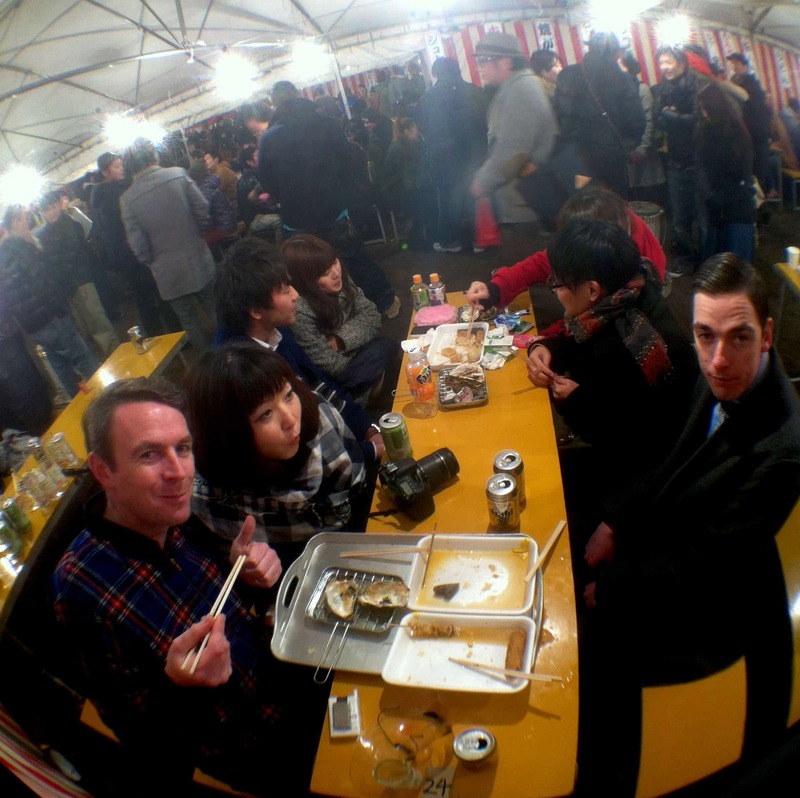 While most people are home with their family or friends watching the annual singing contests, comedy shows and mixed martial arts bouts on TV a good number of Hiroshima’s nite owls are out at a New Year’s Eve party or barhopping. Clubs and DJ bars tend to be fairly quiet until not long before midnight when they suddenly become thronged for the countdown. 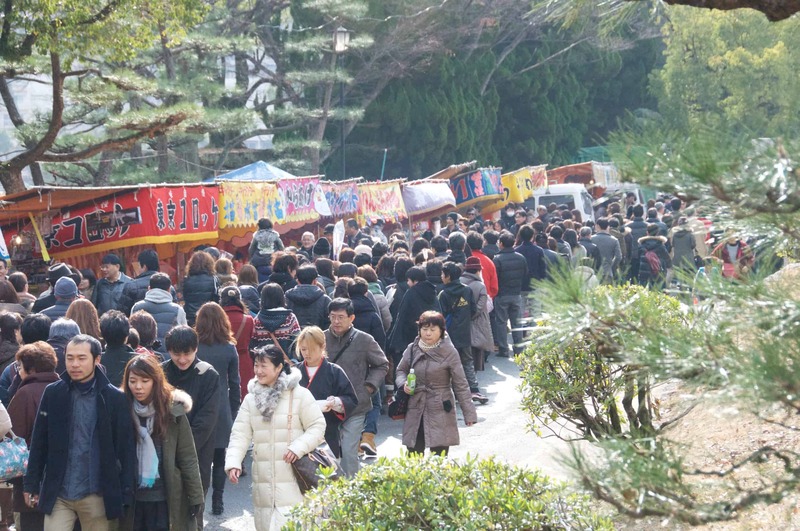 Groups of revelers then tend to move in waves from place to place, until a consensus builds that it’s time for hatsumode, the first shrine visit of the year. Hatsumode is generally a quiet, family affair, but in the hours before dawn on January 1st, all of the city’s club goers, bar staff, hostesses and hosts seem to congregate at Hiroshima’s Gokoku-jinja Shrine, which sits below Hiroshima Castle. 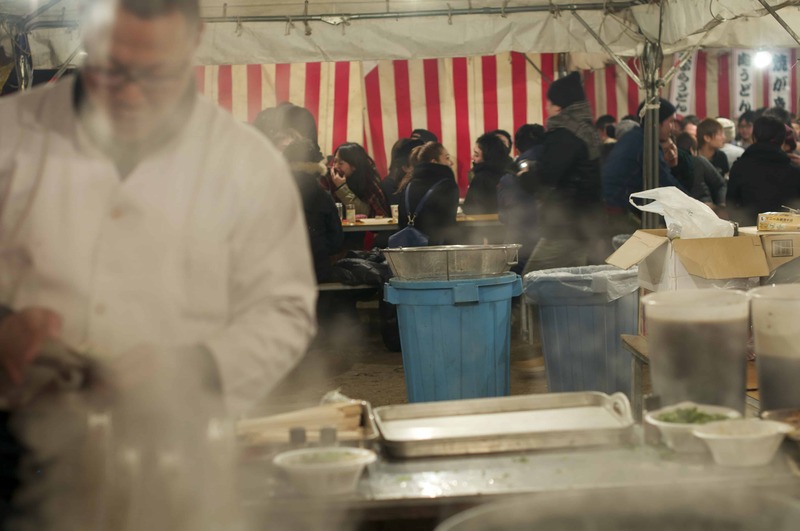 As well paying their respects at the shrine, they hang out at the many yatai food stalls which sell everything from candy apples to oysters, warmed by kerosene stoves and sake until the sun comes up. Watching the crossover between bedraggled clubbers and early risers in their Sunday best is quite entertaining in itself. From midnight to morning, just about every shrine has a line of people waiting to wish for good fortune for the coming year, and they will remain busy over the coming days. Gokoku Shrine is constantly packed and there are several rituals carried out there over the first few days of the new year.There are string of shrines and temples near Hiroshima Station built by former clan leaders to protect the kimon through which it was thought misfortune would attack the castle town. The well-signposted Futaba-no-sato Walk of History links them together and, a pleasant stroll at anytime of the year, it is particularly atmospheric after midnight on New Year’s Eve and during the first few days of the new year. It makes great hike when combined with a walk up to the Peace Pagoda. The first sunrise of the new year. You’ll find cars parked up on the top of many hills in the area, but the summit of Mt Misen is a popular place to view the sunrise. Be warned though, it can get very cold and you should take flashlights for the walk up. The first dream of the new year, usually on the night of January 1 as so many people stay up all the night on New Year’s Eve. It is thought to be particularly auspicious to dream of Mt Fuji, hawks and eggplants! Most stores now open for new year bargain sales on January 2nd (some even open on the once sacred January 1st) and offer fuku-bukuro lucky dip bags. The first writing of calligraphy. Why not have a go at writing your favorite kanji character on a postcard and sending it to a friend or loved one? Thanks for a great post. We are in the city for the new year and this was a wealth of helpful informative options. Happy to be of help. Have a great new year!